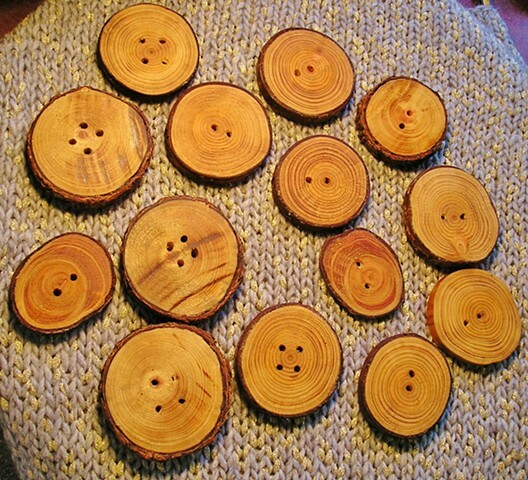 Hand cut Wood buttons are each cut from Pine, Alder . They measure anywhere from 2" to 3". They are sanded, oiled and waxed to show off their natural beauty.